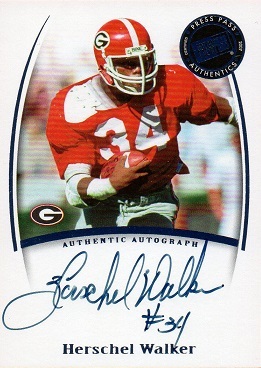 Here is yet another Herschel Walker autographed card added to the Hoard. 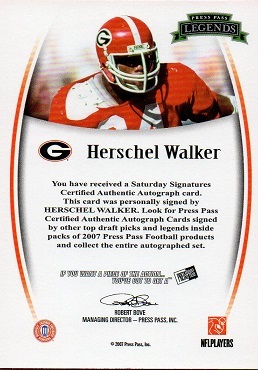 This is the 2007 Press Pass Legends Autograph card. There is also a red ink version of this card, which I also have in my collection. This is number 587 on the way to my goal of 600.